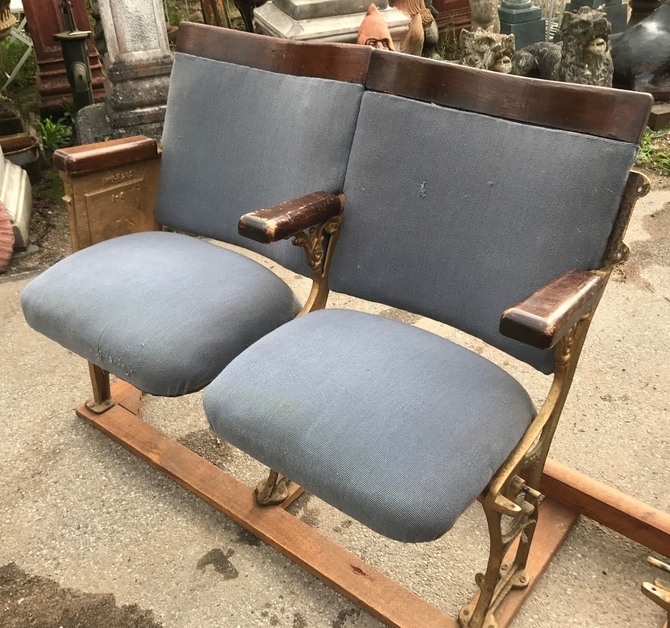 A pair of Art Deco circa 1930s vintage theatre seats with decorative aisle end panels, which would be ideal for a barbers shop, home cinema, hair dressers but also have lots of other uses. The tops of the arms are again upholstered in the same material. On either end of the seats they have a decorative aisle end panel, which really finishes the seats off. 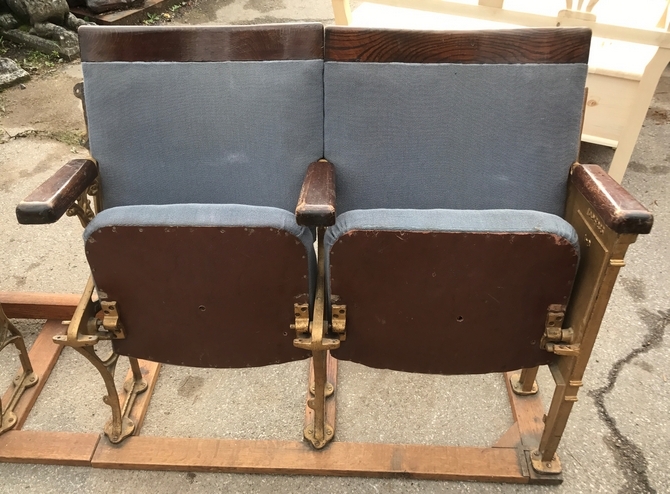 The chairs date back to around 1930.